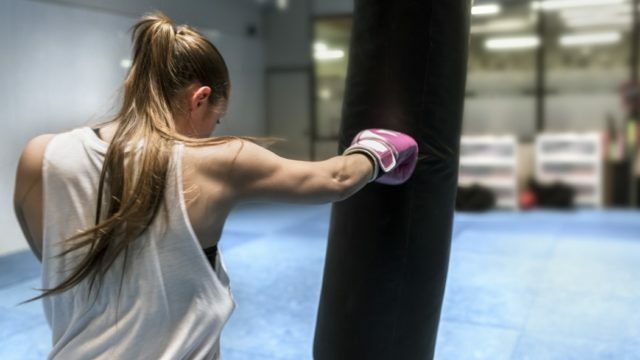 This boxing-inspired 30-min workout will get your sweating and feeling pumped. You can use a heavy-bag or light dumbbells or shadowbox. Exercise courtesy Danielle Burrell, C.P.T., founding trainer, Rumble Boxing, New York City. Each round is 3 min with 45-sec rest in between.